Our jigsaw mats come with blue on one side and another red on the other side. This is ideal for making varied colour patterns, borders and centrepieces. 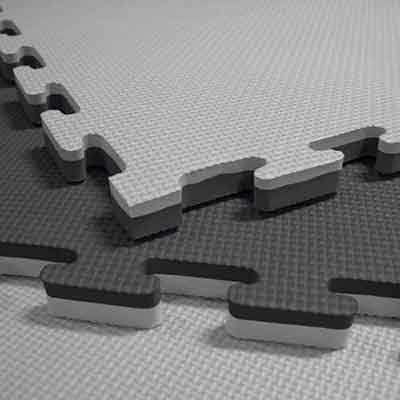 These features are also important where the mats are intended for competition to designate starting position and mark different competition zones. Also the mat can simply be turned over if they are damaged.